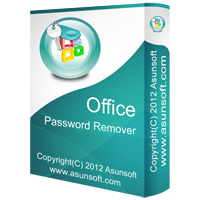 Office Password Remover is one of the most popular office password remover software for removing lost or forgotten passwords for Microsoft Word, Microsoft Excel. It can remove office password within a few seconds. It offers a professional set of features wrapped in a very user-friendly form that is easy to master. Supporting all versions of Microsoft Office from version 97 to 2010.